Spirulina is a blue green algae having unique combination of protein, vitamins, minerals. It is richest and cheapest source of nutrients to the human being. It is the richest source of protein (55-71%), minerals like iron, calcium, vitamins like beta-Carotene (Vitamin B12. It is used in the diets of malnourished children, adults and sportsmen.Sufficient quantity of iron has proved boom for anemic women and children. Due to its antioxidant nature, scavenges free radicals, prevent diseases like diabetes, cataract, arteriosclerosis, arthritis, aging and cancer are caused by free radicals. It contain gamma linolinic acid which prevent the accumulation of fats and cholesterol and reduces blood pressure. It is rich in protein, beta carotene and vitamin E is being used in the preparation of anti wrinkle cream, anti pimple lotion and various cosmetic products. KVK, Ahmednagar has been given major emphasis on bio food since the beginning. Spirulina is one of the most nutritious algae for human being. KVK introduced the spirulina in the year 2003 with objective of employment generation among the youths, create awareness among the rural community about its consumption and make available spirulina locally to increase its consumption. Since 2003 KVK conducting training programme to the rural youth for employment generation. Total 12 trainings programmes for 278 trainees have been conducted. Trainees from 26 districts of Maharashtra and 3 other state have attended training programs. Spirulina is totally new technology hence objective is not only to generate employment but also to create awareness about its consumption. Employment generation is observed quite less but due to KVK efforts awareness and consumption has been increased. Total 11 commercial unit started by trainees, having average tank size 10-50 sq.mt. 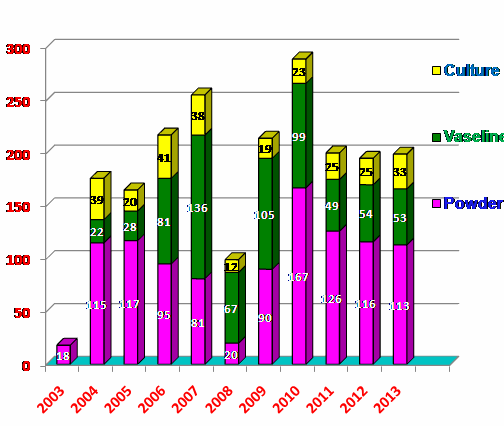 These units started in seven district of Maharashtra. On an average producing of spirulina is 5-20 kg/month/unit with earning of Rs.10000- 30000/month/unit.. KVK is doing continuous efforts in technology dissemination through training, mass media like television, radio, newspapers. KVK also developed video CD and book on spirulina production. This effort resulted to increase awareness about its production and consumption in both urban as well as in rural area. KVK preparing spirulina powder, vaseline and supplying to the consumers besides supplying the mother culture for spirulina production units. 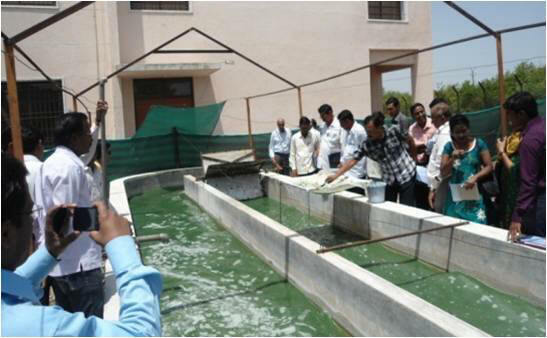 Spirulina production and consumption is widely spread due to KVK’s efforts not only in Maharashtra state but also other parts of the country. Spirulina production a new enterprise established in rural as well as urban area due to which youth got new avenue for employment generation. Similarly it helps to enrich daily diets and solve to many health problems of human being.